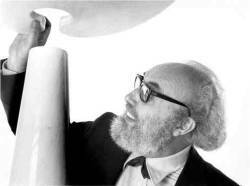 Maggiorotti, Italian modernist architect and designer was one of the leading figures in 20th century Italian design. A rigorous exponent of functionalism, to whom beauty and elegance were also important, Maggiorotti combined cutting-edge principles with his own unique creative vision. His vast body of work in the fields of architecture and design is rooted in his often quoted words - “Happiness comes from Correctness”. His Eccentrico table (1979) was ground-breaking. 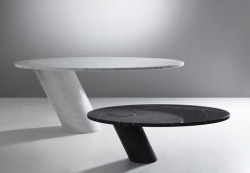 Gravity holds up the cantilevered marble top surface which simply slots into the marble base. Transverse stability is guaranteed by the inclined leg which functions as a base. A masterpiece of simplicity and perfectly reflective of his design principles. 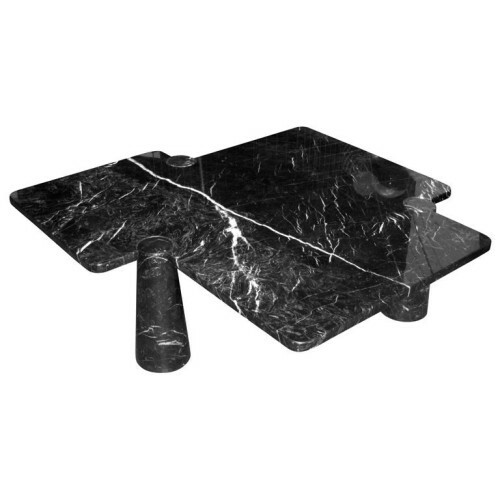 This low table in black marquinia marble (1971), part of Maggiorotti’s Eros series is exquisite. Whimsical in form and rational in design, it employs his signature system of sophisticated joints.